Watermill Recognized for Acquisition of Manistique Papers, Inc.
Lexington, Mass. 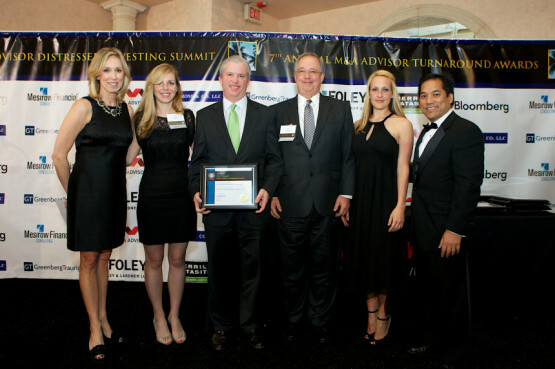 – March 18, 2013 – The Watermill Group is the proud recipient of the Restructuring Community Impact Award at the 7th Annual M&A Advisor Turnaround Awards for the firm’s acquisition of Manistique Papers. In May of 2012, The Watermill Group acquired Manistique Papers, the only paper mill in North America producing high-value uncoated printing and writing paper exclusively from 100% recycled fiber. The mill, which currently employs 140 people, is the largest private employer in Michigan’s Schoolcraft County and an economic pillar for the region. The Manistique mill had been forced into bankruptcy in 2011, when its credit line was unexpectedly pulled. The Manistique mill was faced with liquidation and the permanent loss of about 150 jobs. As an economic engine for the region, the mill’s loss would have had devastating consequences on the close-knit community of Manistique, Mich., and on neighboring towns. With just one day to spare in a seven-day deadline to rescue the mill, the mill’s management team partnered with a local bank, mBank, and the Michigan Economic Development Corporation (MEDC) to reach a deal with the previous lender to find a buyer. The Watermill Group acquired the Manistique mill in May, 2012, at a 363 Auction. The firm forged a cross-sector partnership with mBank and the MEDC to develop an effective and flexible financing structure.